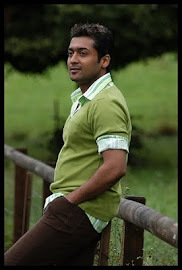 Surya’s KV Anand directed AGS Entertainment produced Maatran is one of the most eagerly awaited films of 2012.The overseas rights of the film have been sold at a new record price. Maatran is an action thriller starring Surya and Kajal Aggarwal in the lead along with Sachin Khedekar, Vivek, Daniel Balaji and Milind Soman. It isdirected and co-written by K. V. Anand and scripted by writers Subha. The film has music by Harris Jayaraj. Surya portray’s five different roles inthe espionage thriller shot in the Balkan region in countries like Russia,Croatia, Serbia, Albania and Macedonia. Maatran Telugu dubbing rights has been sold for a record high. It will be called Duplicate in Telugu. Now it is clear that one of the characters Surya plays is a duplicate.